All of Italy’s major sparkling wine styles come from the north of the country, where the climate cools towards Alpine territory. This coolness is beneficial where freshness and a refreshing flavour are sought. Asti, from the Piedmont, is a uniquely fun, frothy, sweetish wine, made by a single, chilled fermentation, the best of which are terribly under-appreciated. Indeed at a recent seminar led by Guisseppe Martelli, the president of Italy’s National Wines Committee and the director general of the association of Italian oenologists, Asti was left out. The audience was led through Italy’s other three sparkling styles, arguably the more serious ones: Prosecco, from the Veneto, Trento from Trentino, and Franciacorta from Lombardy. (As an aside, don’t confuse Trento, which is sparkling, with Trentino wines, which are still). Clearly the Charmat method is cheaper, and, depending on the time the wine is left on lees in tank, the resulting wine can vary from pure, fruit focused (shorter lees), to one with biscuity notes (longer lees). As with the Charmat method, the longer the time on lees, the more accentuated and accented are the toasty, bready, brioche, biscuity, fresh and roasted nutty notes. In all, Italy makes some 260 million bottles of sparkling wine across all the styles, which makes the industry reasonably small compared to Champagne, which produces about 380m bottles each year. So traditional method bubbly in Italy is a niche sport, and Prosecco supplies should be fine. NB. Italy neatly differentiates between fully sparkling (spumante) and semi-sparkling (frizzante), so the great bulk of semi-sparkling Lambrusco that the UK consumes is not included in the sparkling production. And it is Prosecco which is the object of Brits’ latest love affair. 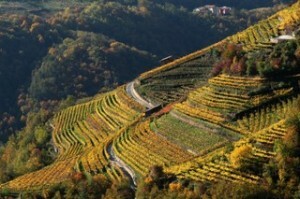 Martelli said Prosecco is the name of a geographical territory which is most developed in Conegliano-Valdobbiadene. It’s also the name of the grape variety used to make the sparkling wine. To confuse matters a little, still wines can also be made from this variety. The variety is grown across the Veneto as well as the neighbouring Friuli Venezia Giulia region to the east. It’s the same-naming of the grape variety, the wine and the region that is causing problems. However things are set to change, though the details are only filtering through slowly. Producers have protected the geographical zone of Prosecco, and limited use of the term Prosecco to the sparkling wines of this geographical zone. 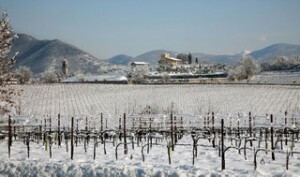 The long-named DOC Prosecco di Conegliano Valdobbiadene remains long-named but is elevated to DOCG Conegliano Valdobbiadene Prosecco Superiore. All the Prosecco IGT becomes Prosecco DOC. This apparently means that anyone producing the grape variety prosecco outside of these newly-protected territories will no longer be able to label it as prosecco. They will need to use a prosecco synonym – glera. About half of the 120m bottles of Prosecco come from this traditional Conegliano Valdobbiadene region. Within this sector, there’s a special hill called the Cartizze, which is akin to a Prosecco ‘cru’. The style classification is a tad confusing, though to be fair, these residual sugars (RS) are the same as those stipulated for Champagne. Clean, light, fresh, bruised apple, dry, light bodied, bit of steel. Clean finish. Decent length. Light bubble, bit light and lacking creamy froth, (might have been the glass). Appealingly smooth texture. Apple and lemon sherbet. Nice frothiness and balance of acid and sugar. Clean, fresh, fruity, bit floral mid palate. Good intensity of white fruit flavours, with some concentration and length. The bit of sweetness brings out the floral and fruit aromas. Bruised apple, bubbly froth, sweetness noticeable, but not too obtrusive. White pear and apple. The level of sweetness is dulling the fruit a bit. Greater depth of fruit, but less good acid/sugar balance than the extra dry. These are made from chardonnay, pinot noir and pinot meunier, with pinot bianco also allowed. Ferrari seems to have a good name for Trento sparkling. Indeed it was this producer who started the Trento traditional sparkling theme at the beginning of the 20th century. At the moment over 80% of these are consumed in Italy. 90% chardonnay, 15% of which was fermented in oak; 10% pinot noir. Straw colour; fresh creamy, brioche nose, nice intensity on the palate attack; medium weight, nicely balanced. Attractive balance of dry toastiness and white floral fruits. Soft creamy mousse, refreshing, and fresh. Attractive wine with decent length. 100% chardonnay, stainless steel vinification. Straw and brioche on the nose, with some notes of complexity beginning to emerge. Palate a hint metallic. Soft yet perky mousse, a bit of a contradiction, but mousse is more edgy than frothy, and attractive for that. Refreshing acidity. White dry roasted nuts, rye bread, hint of fresh walnut. More serious depth of flavour, bit of nice complexity. Good length. Melted butter mixed with fresh cream on the nose, hints of marmalade on the palate; full body, more tropical, yellow fruits. Bass notes. Almost a savoury weightiness; a bit disjointed for me in its development. It’s had 6 years on the lees. More evolved than I might have imagined. Traditional method again here, made from chardonnay, pinot noir, and pinot bianco. Yields are two-thirds that of Trento. This region has aspirations to compete with Champagne. 90% chardonnay, 10% pinot noir. Small percentage of chardonnay and all of the pinot noir matured in oak barrels before assemblage. Apple and melon fruit on nose, fresh with perky bubble, still creamy texture mousse, aromatic mid palate, attractive freshness through the core. No great autolysis character, decent lentgh and refreshing-ness. Soft fresh white fruit balance. 80% chardonnay, 20% a combination of pinot noir and pinot bianco. Part fermented in stainless steel, part in 228 litre oak casks. Melon and yellow fruits, attractive primary fruit, graceful balance, very little autolysis character, and attractive for that, Retains an Italianate style of soft, creamy-textured mousse, lemon/lime sherbet, good length. 55% chardonnay, 25% pinot bianco, 20% pinot noir. 40% fermented in oak barriques, and matured for 7 months. 78 months on lees. Intense lemon toasty aromatic nose, creamy-textured attack, full flavour, nougat notes, complex. Certainly not an aperitif style, needs food. Not as refreshing as other two because of the toasty (oaky) creaminess and vanilla spice. Long finish. Complex wine with creamy flavour, lemon curd, and toasted brioche. Savoury, creamy-flavoured focus rather than fresh fruits.